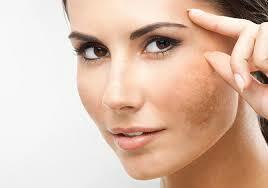 Melasma is a chronic skin disease caused by a mixture of genetic predisposition, hormones and sun exposure. It has a characteristic distribution over the cheeks, forehead and upper lip. It is essential to diagnose Melasma correctly since the treatment of Melasma is different from other types of skin pigmentation. Although we do not fully understand why some people develop melasma, we do know what the key steps are in the process and we can intervene at key points to fight the process. When people understand the nature of Melasma and treat it correctly, the condition can be successfully controlled. Combining treatments that address the several steps in the appearance of Melasma, results in a higher treatment success rate and lower relapse risk. 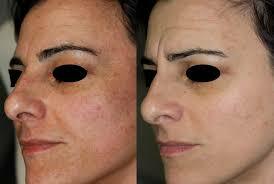 Melasma gets better as we age and tends to disappear when women reach menopause. Melasma is a chronic condition that tends to come back when treatments are ceased and prevention is not done correctly. 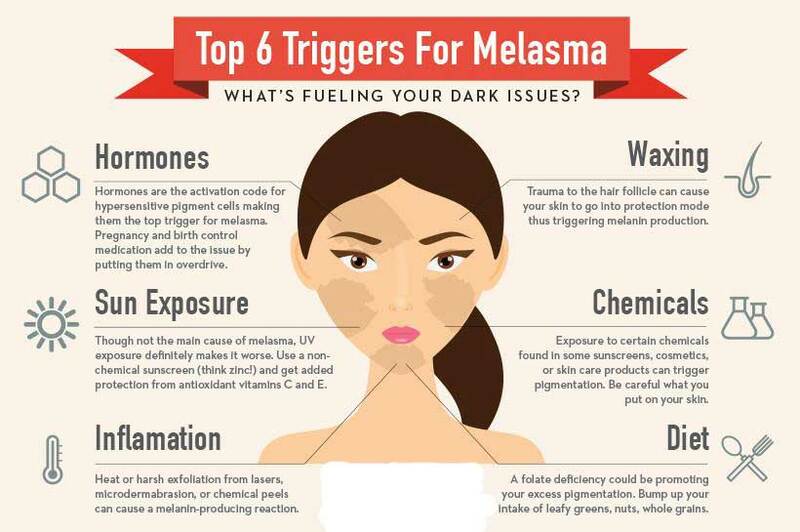 Melasma is a skin disease and not just a cosmetic concern. Therefore it should only be treated under the supervision of an experienced doctor. Melasma treatment is pretty much “life-long”, same as high blood pressure or diabetes. Melasma treatments have to match the stage of the disease: attack, control and prevent flare up. Melasma can be made worse when the wrong treatment is employed. IPL and fractional lasers will cause Melasma to “return with a vengeance”. Using expensive laser procedures indiscriminately , without knowledge of the causes and natural progression of Melasma is a WASTE OF TIME. Diagnosing Melasma correctly is vital. There are other reasons for skin pigmentation and their treatment is very different. Medical reasons for skin pigmentation such as endocrine conditions or certain medications have to be excluded. Once Melasma has been diagnosed the next vital step is to educate the Melasma sufferer about the condition. This is a chronic skin condition that has no cure. The Bad and The Ugly must be understood in order to embark on a treatment plan that will allow The Good to triumph. When treating Melasma, while we cannot do anything about the genetic predisposition, we can address most of the other factors involved in its occurrence. Hormonal factors: big step, I see often melasma sufferers spending vast sums of money trying to get rid of pigmentation while being on combined contraceptive pill or suffering from oestrogen dominance left untreated. This certainly needs correction. Other contributing factors must be discussed and eliminated. The correct treatment of Melasma must respect the correct timing of different treatments. The correct treatment plan must take into account the skin type of the patient, the presence of co-existing conditions(acne, redness, dryness, skin sensitivity etc). a. Stop Pigment production with specific melanin inhibitor creams. Medical grade pigment inhibitor creams containing ingredients such as hydroquinone, kojic acid, azelaic acid are essential. They need to be used long term, although the type of product and the concentration will be adjusted according to the severity and the stage of the disease. In selected cases I use Tranexamic acid orally or topically with very good results. The melanocyte is the skin cell that makes pigment and then it generously spreads it to other cells in the epidermis and the dermis. Besides genetic and hormonal causes, THE SUN is the main activator of the melanocyte. SUN PROTECTION MUST BE RIDICULOUSLY DILIGENT: the type of sun screen, the amount of sun screen to be applied, the frequency of the application must be discussed during the initial Melasma consultation. d. Destroy the existing pigment only AFTER the melanin production has been blocked and the skin defence and repair mechanisms have been enhanced. Recommended time: 3-4 weeks. Removal of existing pigment has to be initiated only after the melanocye has been shut down by melanin inhibitors used for a few weeks prior to the attempting to remove the pigment. First line pigment removal treatment is the Q switched laser. Q switched laser treatments are the most effective way of breaking down the pigment in order to allow our immune system to remove it. A series of treatments spaced 2 weeks apart is necessary. In our practice, we perform a series of six treatments and then we re-assess. 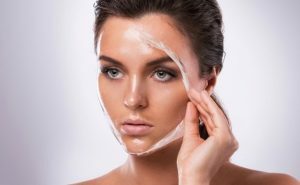 Chemical Peels are second line treatments and are helpful to improve epidermal Melasma. 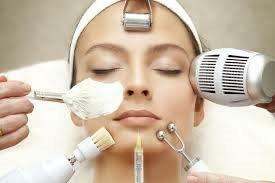 We use medical grade glycolic peels, retinol peels , Jessner or yellow peel. Dark skinned patients have to be assessed carefully since more aggressive peels can induce post-inflammatory hyperpigmentation. Combining skin needling with a chemical peel will give enhanced results. When a patient received the proper education about the natural course of melasma, the maintenance of results is feasible and relatively simple. Sun protection, anti-oxidant creams (vitamin C), epidermal repair creams (vitamin A and B3), pigment inhibition creams need to continue to be applied. In case of Melasma flare up, EARLY intervention with laser pigment destruction is recommended. Melasma treatment has to focus on prevention. Since Melasma treatment emphasizes skin protection and repair interventions, there will be a massive improvement in skin quality overall. We advise our Melasma sufferers to make an appointment with Doctor Bitlan in order to start their melasma treatment as soon as possible.